Exporting about 500 Metric of Polypropylene Woven products. We supply all types of PP bags - Coated / Uncoated / Gusset / Micro-perforated / Bags with Liner / Sand Bags / Agro Sack / Valve Bags / Handle Bags / EZ Open Bags. 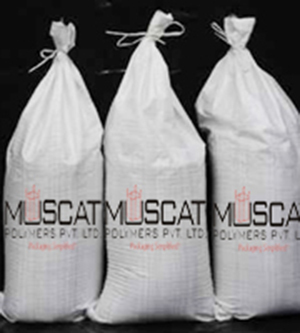 Muscat offers wide range of PP sand bags with different utililes and add on values as per the customers requirement. MPPL offer tie-string or tie cord sand bags made of PP ( Polypropylene) with feasible and economical prices, our sandbags are available in white, green, orange, tan, beige and other customs colors. In addition our sand bags are manufactured and consist of a unique, double-zippered, leak proof system. This leak-proof feature of the bag allows it to be filled with required amount of the weight We also offer the PP Sand Bags for Military Use with Rope mainly used in the defence ministry. 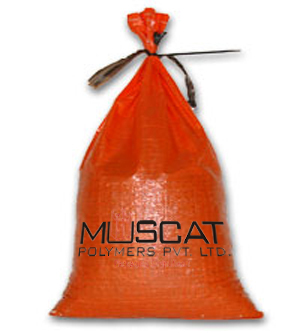 MPPL offer these PP Sand bags in various specifications and sizes & available in beautiful colors, finest quality and distinct designs combined to ensure customer satisfaction. Please contact our Exports team for any further information about our production capacities and capabilities for manufacturing wide range of PP Woven sack. 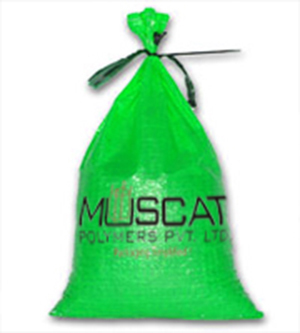 Contact: Mr. Shrenik Doshi, Director, Head of Exports, Muscat Polymers Pvt. Ltd.
Used for the development of roads, traffic and road signs.